China’s furtive, incremental encroachments into neighboring countries’ borderlands have emerged as a key destabilizing element in Asia. While China’s navy and a part of its air force focus on asserting revanchist territorial and maritime claims in the South China and East China seas, its army has been active in the mountainous borderlands with India, trying to alter the line of control bit by bit. 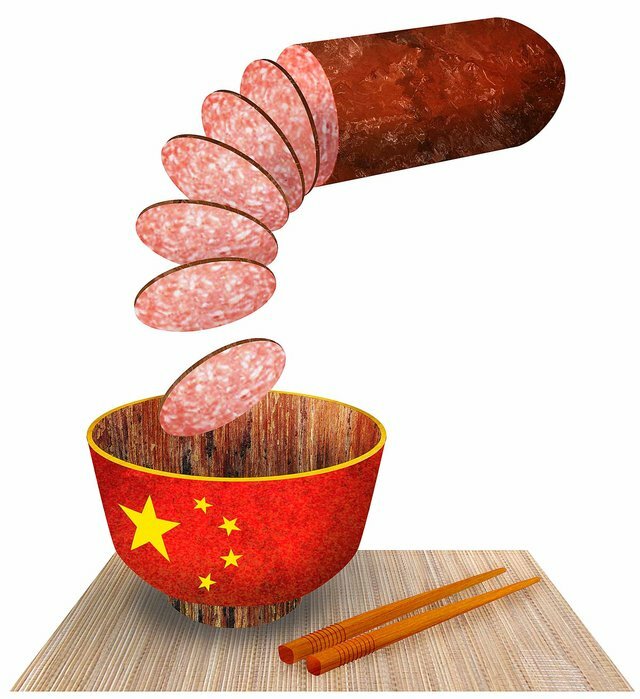 Beijing’s favored frontier strategy is pivoted on “salami slicing.” This involves a steady progression of small actions, none of which serves as a casus belli by itself, yet which over time lead cumulatively to a strategic transformation in China’s favor. By relying on stealth aggression, China’s strategy aims to seriously limit the options of the targeted countries by confounding their deterrence plans and making it difficult for them to devise proportionate or effective counteractions. Changing the territorial status quo has been the unfinished business of the People’s Republic of China since its founding in 1949. The early, forcible absorption of the sprawling Xinjiang and Tibetan plateau more than doubled the landmass of China. This was followed by the advent of the earliest incarnation of the salami-slicing strategy, which led to China gaining control, step by step between 1954 and 1962, of the Switzerland-size Aksai Chin plateau of the original princely state of Jammu and Kashmir. An emboldened China then went on to seize the Paracel Islands in 1974, the Johnson Reef in 1988, the Mischief Reef in 1995 and, most recently, the Scarborough Shoal in 2012. At the core of the challenge posed by China to Asian security today is its lack of respect for existing frontier lines. In other words, China is still working to redraw political boundaries. Along land frontiers, surreptitious attacks usually precede its salami-slicing. The aim is to start eating into enemy land like giant rodents and thereby facilitate the slice. The use of this strategy is becoming increasingly apparent along the Himalayan border with India, the world’s longest disputed frontier. Here, one form of attacks has involved the use of ethnic Han pastoralists to drive Indian herdsmen from their traditional pasturelands and open the path to military encroachment. To assert its claims in the South China and East China seas, the incremental tools China employs range from granting hydrocarbon-exploration leases to asserting expansive fishing rights — all designed to advance its territorial and maritime claims. In the East China Sea, China has employed paramilitary agencies in a campaign of attrition against Japan over the Senkaku Islands — an offensive that has already succeeded in shaking the status quo by making the rest of the world recognize the existence of a dispute. Taking on Japan, its former occupier and historical rival, is part of China’s larger search for new seabed resources and for strategic ascendancy in the western Pacific by breaking out of what it perceives to be the “first island chain” — a string that includes the Senkakus, Taiwan and some islands controlled by Vietnam and the Philippines. China’s aim in the South China Sea is to slowly but surely legitimize its presence in the 80 percent of the sea it now claims formally. Through repeated and growing acts, China is etching a lasting presence in these zones. Among the ways Beijing has sought to establish new “facts” on the ground in the South China Sea is to lease hydrocarbon and fishing territories inside other disputant states’ 200-nautical-mile exclusive economic zones, as defined by the United Nations Convention on the Law of the Sea. Such leases are designed to circumscribe the treaty-granted economic rights of other claimant states while expanding China’s control of the region’s oil and gas wealth. China has even established “Sansha City” on Woody Island in the Paracels as its administrative base for the South China Sea, setting up a local civilian government and a military garrison there to oversee the entire region. In its latest effort to present a fait accompli over its occupation of the Paracels, it has started tourist cruises to those disputed islands. To be sure, Beijing usually is careful to slice very thinly so as to avoid any dramatic action that could become a cause of war. Indeed, it has shown a knack of disaggregating any action into several parts and then pursuing each element separately in such a manner as to allow the different pieces to eventually fall in place. This shrewdness helps to keep its opponents off balance and in a bind on how to respond. In fact, as a skillful salami-slicer that camouflages offense as defense, China acts in ways not only to undercut its opponents’ deterrence, but also to cast the burden of starting a war on them. Any targeted state is presented with a strategic Hobson’s choice: either endure the loss or face a dangerous and costly war with an emerging great power. China’s tactics and strategy thus pose an growing challenge to several of its neighbors, which face a deepening dilemma over how to thwart the aggression. Exchanging notes with each other — and with the United States, the geographically nonresident Asian power — may be necessary to find ways to try and stop this creeping, covert warfare. After all, China’s multipronged actions, cumulatively, carry the potential of fundamentally altering the Asian power dynamics to shape a Sino-centric region. Brahma Chellaney is a geostrategist and the author of “Water, Peace, and War” (Rowman & Littlefield, 2013). (c) The Washington Times, 2013.